Preparing for the unexpected is vital when handling a property. That’s why we handle your property insurance. Breezybnb has you covered whenever an accident occurs. Even when everything is done right, there is always the possibility for an accident to occur. However unlikely an accident might be, there is always that slim chance. And with this being the case, it’s always best to be prepared for what could happen rather than denying something can happen. Our philosophy on accidents is that if one occurs, we want to handle it as fast as possible without cutting corners to ensure the property is ready for guests without too much downtime. Allow us to handle your property insurance with our legal team and if a problem arises, we’ll take care of your insurance claim too. So through Airbnb, we can get you the Airbnb Host Protection Insurance programme. 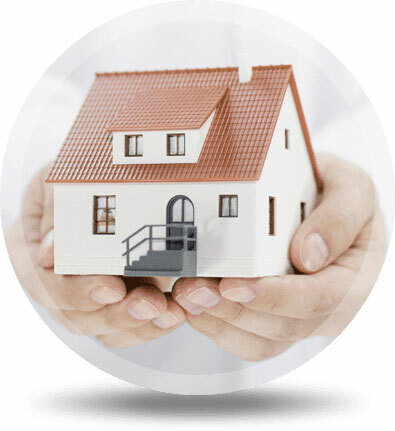 Through this program, everything is handled and homeowners have nothing to worry about. If there is ever a third party claim against you relating to property damage or bodily injury, you’ll be protected up to $1 million. With this kind of protection, it’s easy to see why so many homeowners decide to get involved in this program. Some people decide that minimal insurance is not the best route to go. If that’s the case, you may wish to attain the additional insurance cover you need to feel safe. Securing one’s property is always a good move and helps people obtain the peace of mind they need knowing that their asset is safe. With this added coverage, you may receive building, public liability, personal injury, and even contents coverage. More coverage means less liability when an accident happens. Situations can go awry and when they do, Breezybnb has you covered throughout the whole claims process. We’ll be with you every step of the way with our perfectly documented evidence and in-house skills working towards getting your property ready to host guests yet again. Our claims management service is streamlined, minimizing the time your property is unable to accept guests and maximizing your annual number of days booked in the process. With dependable claims management service at the ready, we ensure your property is taken care of rapidly to have it earning returns again shortly. Our mission is to resolve any problems before or immediately after they occur. This is done because we understand the importance of a property being in prime condition. Bookings cannot be fulfilled without everything in tip-top shape and with this in mind, we want to handle problems in as fast of a manner as possible without cutting any corners. This ensures your property can accept new guests without sacrificing safety. The majority of problems that occur can be sorted fast with the guest or directly through the booking channel. Whenever possible, if a guest causes any damages, we’ll simply charge them for the damage or however much the repair will cost. If this is not an option, we’ll immediately file and process a claim with the property insurance.